The TV ads for this movie and the game inspired me to pick up the book at Borders last weekend. It is the best fantasy genre story I have read since the Song of Fire and Ice series by George R.R. Martin. 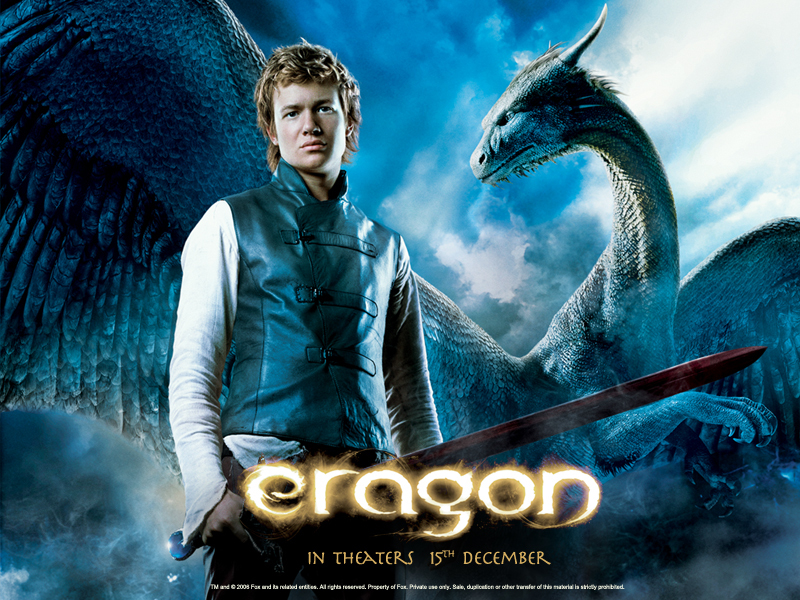 I think this will be the best fantasy film to hit the theaters since Lord of the Rings. Be sure to visit the Website for some great downloads. The movie should be in theaters December 15th. Anyone else into fantasy genre books and movies? Both Killington and Okemo are open! Killington has the K-1 Gondola and the Snowdon Triple running. Of course they have the usual disclaimers about early season conditions. It is still encouraging to see them open and making snow. Okemo has the Northstar Express and the Glades Peak lifts running with 4 trails open. From the snow and trail reports I would say Killington is the best place for early season skiing or riding. Dr. Nik got me thinking about a few logo ideas. I also found an free open-source drawing application called Inkscape that can make .eps files and other vector graphics. Fifteen minutes later I was cranking out logo ideas. The way I see it now is we can have a logo that arranges the text of uvScene in clever way. We could use something that is strictly a image or shape like is used in our current logo. We could also come up with something that uses both type and images. My first batch of ideas uses the design with text approach. These are just a few designs that I started with to get some get some ideas flowing and maybe start some conversation. This is your chance to share your ideas. Should we design with text, images or both? Any ideas for a color scheme we should use? Who else is working on logo ideas? I enjoyed reading the book so I am excited about the movie. Info on the Web site indicates they did pretty well following the plot from the book. In addition to a new actor(Daniel Craig), we should get the chance to see a different James Bond character then we have seen the more recent movies. This Bond is more of a cold war agent that relies on intelligence, instinct, guts and his gun more then fancy gadgets. He is closer to the Bond character from Dr. No and Goldfinger. I was fascinated by the card game Bond and his enemy le Chiffre play in the casino. It is an ancient European card game called Baccarat. This is how Bond got his reputation as an accomplished gambler that we see in other movies. So how many other 007 fans are out there?